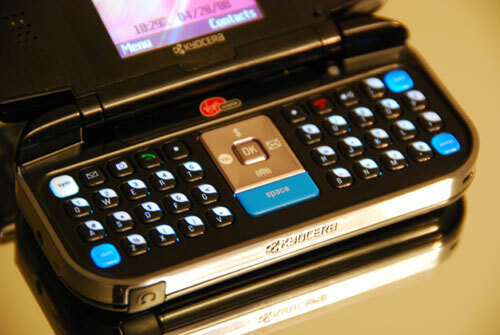 OhGizmo Review: Virgin Mobile's Kyocera Wild Card Phone | OhGizmo! I’m not much of a cell phone person. I’d like to be, but I’m not… The phone I have now (some sort of Samsung slider thing) exists for the sole purpose of making phone calls. Novel, I know. And until I got a chance to spend some time with a phone that does a little more, I didn’t really have any idea what I was missing. 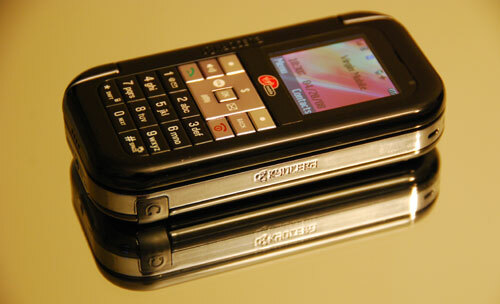 Read my full review of the Kyocera Wild Card cellphone, on Virgin Mobile’s 3G network, after the jump. The Wild Card is a reasonably nice looking phone. You won’t be showing it off to all your friends, but you won’t be hiding it from them either. It’s slightly chunky at just over 4oz and measuring about 4 inches by 2 inches by 0.8 inch. It’s glossy black on the front, with silver nav buttons, silver trim around the middle, and a silver camera + flash panel on the back. The back of the phone (i.e. the battery cover) is made of a black non-slippy material that feels like it doesn’t work at all, but in fact works quite well to keep the phone from falling off slippery, tilty surfaces. The battery cover, by the way, is held on by some sort of screw that I found annoyingly difficult to remove. Not that it really matters, but I think the screw is made of plastic, and if you have a compulsion to unscrew stuff like I do, you can easily scratch it up. You’ll find the charging jack on the bottom of the phone, the headset jack at the bottom of the left side, and volume and dedicated camera buttons on the top of the right hand side of the phone. The volume gets nice and loud, which is a quibble I have with my current phone. Open the Wild Card up (it’s got a nice big sturdy hinge), and you’ll find a QWERTY-style horizontal keyboard accompanied by a second display. The keyboard is split in two, (TGV on one side, YHB on the other) to make room for a big silver nav group and a relatively large spacebar. The fact that the keyboard is split in half isn’t as much of a problem as you might think, although I did find myself repeatedly missing the “B” key. Otherwise, it was easy (much easier than T9 on a numberpad, anyway) to use for composing brief messages. Each letter key on the keyboard also has an alternate symbol or number, easily accessible by a symbol key in the upper lefthand corner. The numbers are laid out left to right like on a keyboard as opposed to in columns on a numberpad, which I didn’t like as much. The top row of buttons on the keyboard includes a customizable menu button (I love having the option to customize stuff), a dedicated picture button, volume, call/end, two tiny select buttons, and a back button that’s a really handy thing when it comes to navigating though menus. The buttons themselves are small but not impossibly so, and stick up enough to be smoothly tactile. Although there are two displays, they’re really nothing to write home about. 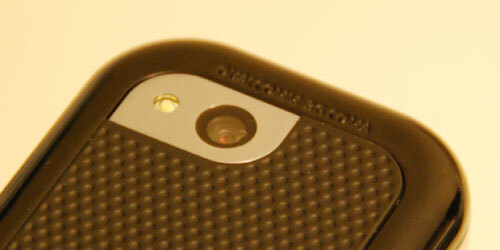 The one on the face of the phone measures 1.5 inches with a resolution of 128 x 128, making it functional at best. The display on the inside is unfortunately not much bigger at 160 x 128, and there’s a huuuuuge amount of blank space around it which gives the whole phone a slightly cheaper look. The phone doesn’t care which display you use, and if you open or close the phone, whatever you were doing on one screen shows up on the other. For some reason, the displays both remain active whether or not the phone is opened. So, if the phone is open, the front display remains lit but turns solid white. If you close the phone, the display inside also remains lit and turns white. Unless I’m missing something, this seems to be a needless waste of battery life. In use, the phone gets noticeably warm against your ear after about 15 minutes. Call quality was not especially impressive… I found it to be very obviously cellphoney. Nobody I tried it with had difficulty understanding me, they just weren’t able to appreciate the sultry sound of my voice. The phone didn’t seem to pull in as many bars as other phones nearby, but it was capable of making calls anyway. Functional web browsing is awesome on this phone. When I say functional, I mean if you want to check your email or the news or something, you’ll have absolutely no problems. Gmail worked fine, as you’d expect, but even my personal and business webmail (hosted through Network Solutions, for whatever that’s worth) were easy to access. Of course, I can’t speak for every webmail service, but my experience was much faster and easier than I was honestly expecting. Pictures are nonexistent as far as I could tell, but the phone does load some mobile browsing style simple graphics for enabled websites. You do have to pay a substantial amount for internet… There are two prepaid data plans offered by Virgin Mobile. One is a 30 day, 5mb plan for $5, and the other is a one day, 0.5mb plan for $1. But, if you just want email, the phone includes a mobile email application that lets you send emails for text message rates from a few select ISPs, the most common of which are Yahoo and AOL/AIM. The big draw of this phone is obviously text messaging, and that’s what it’s really good at. There are large, dedicated messaging keys and the keyboard makes it easy to say what you want to say quickly and accurately. It’s almost (almost) as easy as opening the phone, pushing a button, and typing your message. The only thing I don’t like is that you have to use one of the leeeetle menu keys in order to select a recipient; it would have been easier if you could use the giant OK key to jump to your address book. But basically, if you’ve been using a phone without a QWERTY keyboard to do a lot of texting, you’ll love the Wild Card. 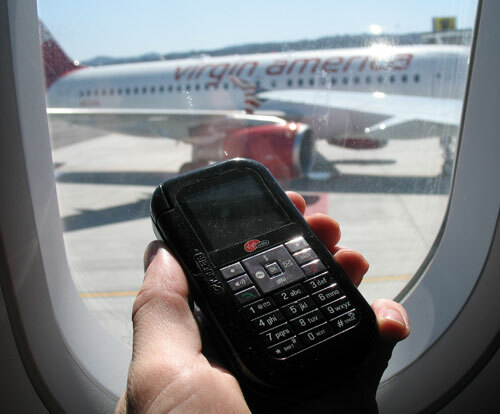 Virgin Mobile offers the Wild Card at a mere $100 on a selection of prepaid plans. There are a bunch of them, and although it’s kinda confusing, you’ll probably be able to find something that fits your style and budget. The most basic plan will cost you 20 cents a minute. For $6.99 a month, you can get that knocked down to 10 cents a minute. If you buy minutes in big chunks you can save a substantial amount; 400 minutes for $30 (7.5 cents per minute) or 1000 minutes for $50 (5 cents per minute). These plans compare quite favorably with most other prepaid carriers, and unused minutes will also rollover roll forward for the next month. It’s really easy to buy more minutes; literally a single button on the phone will take you directly to Virgin Mobile’s online Top Up service. 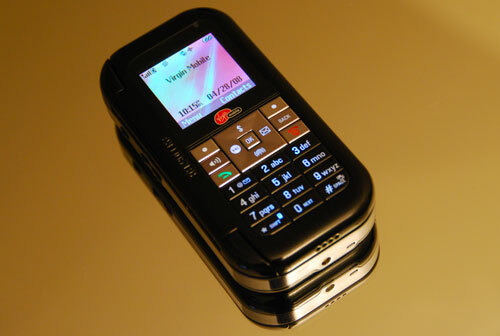 Now, after using this thing for a while, I have to say, I really can’t handle a prepaid cellphone. This is not at all about Virgin Mobile; their prepaid service is quite competitive. It’s more like, I feel like I have to be conscious of the balance on my phone all the time. On the surface I am a perfect customer for prepaid plans, since I tend to use my minutes in chunks rather than consistently from month to month. But deep down, I like having the security of a bunch of minutes sitting out there, just waiting to be used. It would probably be more cost effective for me to buy prepaid minutes, but then I do have to worry about how many I’m using. If you feel like I do, take a look at Virgin Mobile’s other competitive plans. I like this phone more than I thought I would, and I’d definitely recommend it if you think it fits your lifestyle. It’s decent looking, great for texting, comes with competitive plans, and is a good price at only $100. OMG thank you sooooo much for writing this review on this phone!! 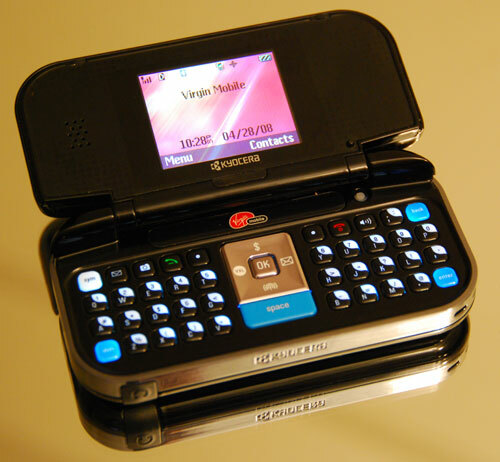 its my fourteenth birthday coming up and i went to virgin mobile.com and really liked this phone!! now i see the back of the phone and everything! I am going to get this phone and use VoIP on it! 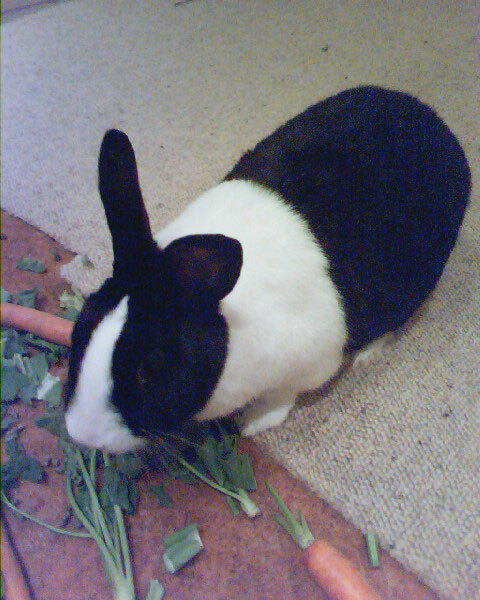 just kidding i love this phone! I am getting this phone! thought i was hoping for better reviews from people. Oh well….it still looks AWESOME! and i love texting which will be great with the full keyboard! this was a VERY helpful review. i am gettin this fone 4 my 12th bday and i wasnt sure if it was good or not. this review listed the pros and cons and it helped a lot. the only thing is…dont think im stupid any1, but frm these pix it looked like the fone was double the size that it really was!!!!!! …………….i was just lookin at the reflection………………………….oops……………………………………..o well, i am TOTALLY gettin this fone!!! can u have a key chain thing on this phone?…is there little holes?? I have this phone it's very good. Not worth the money. Not worth going with Virgin Mobile. My dad and I got my friend this phone for Christmas and within a couple months it stopped charging due to jack problems. We took it back and they replaced it, only a few months later, to have this problem again. The phone isn't that attractive, and for the $80 bucks or so we paid for it, it wasn't worth it. It resets itself randomly, and doesn't really look that great. Would look elsewhere if you want something that will last.